Except for stopping to ask for directions, there may be nothing that most men avoid more than wearing clothes that fit. The difference is that stopping to ask for directions is stupid; understanding the importance of fit is not. Fit is, by far, the single most important element of an outfit. Without a tailor, faced with a choice between Savile Row and Men’s Wearhouse, I’ll take the suit that fits me best. A good introduction to fit can be found on reddit, of all places, specifically r/MaleFashionAdvice. It should be noted that, while styles change over time, there are key elements of fit that do not change. Sure, you might prefer wider lapels and a longer jacket length, but having your jacket hang off of your shoulders is never considered a good fit, for example. You can ignore this advice (no one is telling you that slight breaks and showing some cuff are the right ways to dress), but abandoning the pursuit of a good fit will likely be at your own peril. If your goal is to look clean and sharp, you might want to learn your inseam. A few months ago, GQ’s Matthew Sebra illustrated the “Style Evolution” of Daniel Craig, the latest James Bond. Notice what a better fit does to his appearance. “It’s no wonder Bond fans were up in arms after Craig was announced in the iconic role; the guy showed up for his big reveal dressed as a CPA, not a suave MI6 agent,” Sebra snipes. (For those of you following along at home, this is the fourth slide.) And it’s true: In 2005, Craig dressed like the guy doing Sean Connery’s taxes, not the next James Bond. Which Daniel Craig would you rather be? If your answer is CPA Bond, fine by me. 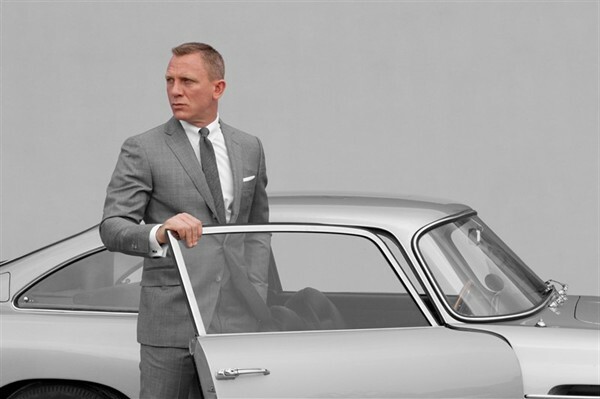 But if your answer is 007 Bond, I’d start by befriending a good tailor.